Grab a friend & come out to the Boys Varsity Basketball game on Friday, January 25. 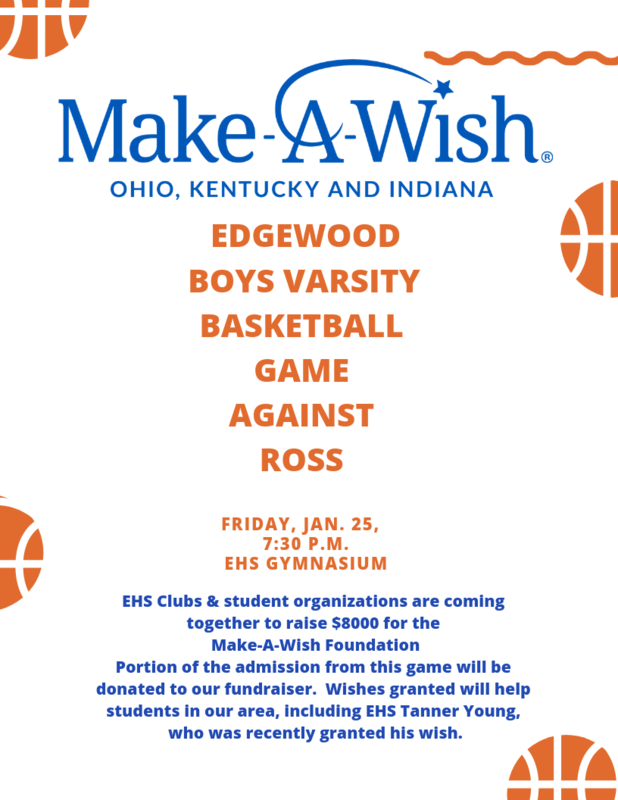 The game is at EHS against Ross, starting at 7:30 p.m.. A percentage from the admission fees from this game will be donated to Make-A-Wish. Over 10 EHS clubs and student organizations are coming together to raise $8000 for the Make-A-Wish Foundation, which has recently granted a wish to Edgewood sophomore Tanner Young. Your attendance will help us make a difference in the lives of children such as Tanner. Please help us spread the word about this fundraiser, so we'll have a record turnout at the game!